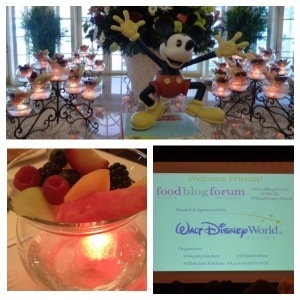 Last weekend I was lucky enough to attend the Food Blog Forum in Orlando, FL. I say lucky because tickets sold out in the first five minutes on sale. After waiting and stalking the registration link, I missed getting a ticket by mere seconds and then got placed on a wait list. Luckily I received an email informing me that I was able to purchase a ticket. And I am forever thankful that I did. I don’t even know where to begin with this recap. For a small, intimate conference it was overwhelming but totally in a good way. 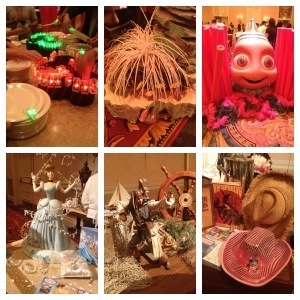 When Walt Disney World hosts a conference, they go all out. Everything was so well organized and it seemed like every single cast member I passed during the event said hello or issued some sort of greeting. They really know how to make you feel welcome. 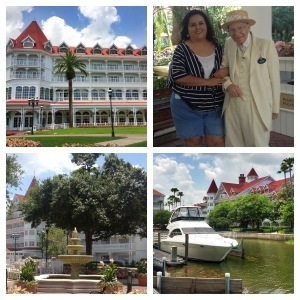 We stayed at the Grand Floridian hotel on the Walt Disney World property. This is the first time I’ve had the pleasure of being at this resort and I thoroughly enjoyed my time there. Being a fan of the Victorian era, I was so ecstatic when we pulled into the property. As soon as you get on the grounds you are taken back in time. From the clothes the cast members are wearing to the beautiful lush grounds. I could live here. There wasn’t much time to do a full tour of the hotel, but what I saw made me want to stay here again. On Friday night, Walt Disney World hosted a welcome reception for all the attendees at the Grand Floridian Conference Center. 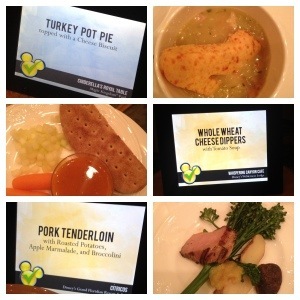 The chefs did an amazing job with the food and it was great to get these scrumptious bites, some that I’ve never had before. I didn’t try everything that was offered because I was beyond nervous. The introvert in me really held back and I stayed in practically one spot the entire night. Thankfully those that I did reach out and meet were extremely nice. After the reception I went back to the room because I was exhausted from my trek across the three parks. 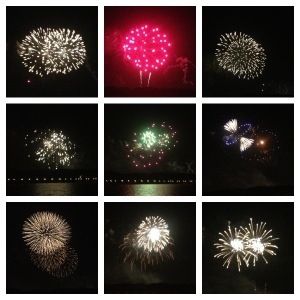 I did make my way to the docks to see the fireworks and they were spectacular, as always. Saturday the conference was in full force and went all day. The speakers were all amazing and I took something away from each of their presentations. We started with a continental breakfast that included glowing fruit. Seriously delightful. 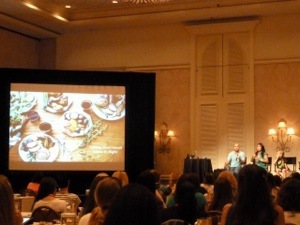 I especially enjoyed the session with Scott and Jaden Hair from Steamy Kitchen on Redefining Success & Setting Goals. Scott has a way of getting you to look at things from a different perspective. His tip that stuck with me is to always start with the emotion that needs to be achieved. He also touched on what do we think we need in life and from our blog to be considered successful. If you don’t know your definition of success, how will you know when you’ve achieved it? It was truly inspirational and has me thinking differently. The session with Todd Porter and Diane Cu, the pair behind White on Rice Couple was also great as they focused on photos and video to really take your blog to the next level. One thing that stuck with me was they said to capture photos through your heart and your eyes. They also stressed to look beyond the obvious. A recommendation they made was to use Animoto to make videos. My niece and nephews have been using this for a while so I may get them to show me how to do it! 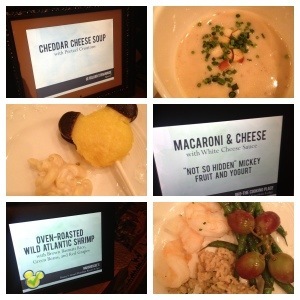 We then had the opportunity to have even more great food from chefs across Disney World. This round of deliciousness all came from the new and improved kids menu, Mickey Check, and let me just tell you that my niece and nephews would enjoy this. 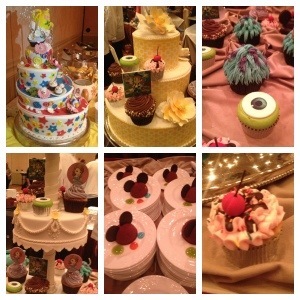 The desserts were all divine. Not only were they eye-catching, the two cupcakes I ate (just bites and nibbles, geez) were unbelievably good. This half dome shaped one was filled with a mousse-like filling and was my favorite. 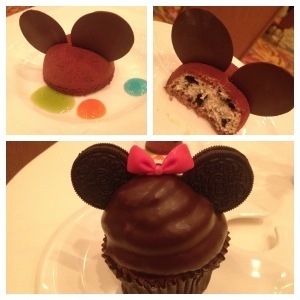 The gigantic Minnie Mouse ears cupcake was a cookies and cream concoction and was also my favorite. I found myself daydreaming about them later in the day. After lunch we heard from Elise Bauer with SimplyRecipes, Babette Pepaj with BakeSpace, and Erik Deutsch on the topic of Trends in Technology. They made me realize that so much of my search traffic on this blog comes from Pinterest. Which also made me realize so many of my photos are not pin-worthy. I need to work on that! Another great tip someone in the audience gave was that the best time to pin is Sun-Tues from 7am-11am & 7pm-11pm. The next session was on Community Building and included Lindsay Landis from Love and Olive Oil, David Leite from Leite’s Culinaria, Julie Deily from The Little Kitchen, and Jeff Houck with the Tampa Tribune. A major point they stressed was to be authentic. That is so important! David also said that he has a policy of “No comment left behind.” This is an excellent policy and I think it should extend to Twitter and Facebook as well. If someone takes the time to write you, it’s polite to acknowledge them and even engage in conversation. We even had the great fortune to hear from Senior Project Manager for Walt Disney Imagineering, Tim Warzecha. He is one of the talented people at Disney who came up with Be Our Guest restaurant. It was so interesting listening to him talk about everything that goes into planning such a thing. It truly is remarkable. I was glad I was able to thank him and tell him just how much I enjoyed eating in the ballroom. 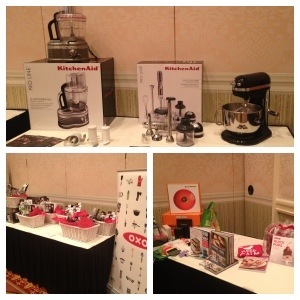 Throughout the conference, there were multiple giveaways and I was so lucky that I won a 16-cup Food Processor from Kitchen Aid. I kid you not! It has been delivered and I can’t wait to make something using it really soon. 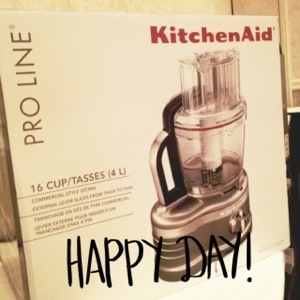 Thank you Kitchen Aid! While many of the attendees attended the closing reception at Hollywood Studios and brunch on Sunday at Whole Foods, I wasn’t able to as I got sick. At first I thought it was bad allergies but it turned into a sinus infection and pretty much stayed with me all week. 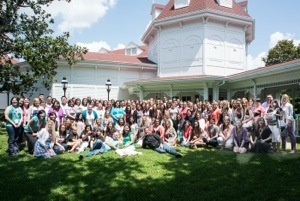 Despite getting sick, I truly had a wonderful time – who wouldn’t at Disney World – and I am grateful for the opportunity to attend this remarkable conference. Thank you to the organizers (Jaden & Scott Hair, Todd Porter & Diane Cu, Julie Deily, and Lindsay Landis) for putting on a fabulous event. And to the sponsors. It was truly amazing and thank you for the opportunity to attend and learn so much. 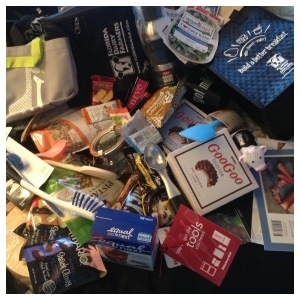 Also a huge thanks for all the wonderful items in our unbelievably overstuffed swag bag. Wow! 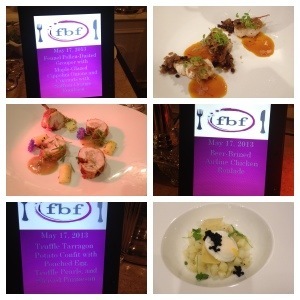 I also participated in a Foodie Swap with 15 other bloggers while at the conference so I will share a separate post on that.